The next few weeks will be a busy time on our roads as children transition from summer back to the classroom. That means increased traffic congestion especially during the early morning hours and mid-afternoon when school is dismissed. Do you know when you're supposed to stop for a school bus? Here are a couple of reminders about South Carolina Law. You are discouraged passing a bus when its caution lights are flashing, but required to stop when its lights are red. If you're following a bus or headed in the same direction, it's illegal to pass a stopped bus. 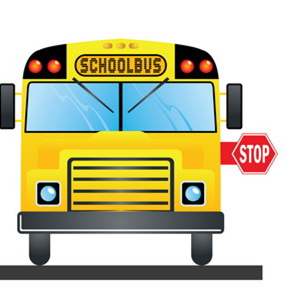 If you are approaching a stopped school bus from the opposite direction on two-lane roadway (one lane going one direction, one lane going coming toward you) you must stop for the school bus that's approaching you. Thank you for helping keep our children safe.